Hollis Taggart Galleries was founded in 1979 with a gallery mission of presenting museum-quality works of art, maintaining an inventory and exhibition program motivated by scholarship, and offering personalized support in all aspects of art collecting. Over the past 36 years, the gallery has offered significant works in the American vernacular, from the Hudson River School to Impressionist, Modernist, Abstract Expressionist, and Contemporary Art. The gallery has organized groundbreaking exhibitions curated by our own directors in conjunction with the foremost scholars in the field. Hollis Taggart Galleries has organized countless critically acclaimed shows and has proudly collaborated with over thirty museums and institutions to produce scholarly catalogues that reflect our commitment to advancing research and scholarship in the field of American Art. Hollis Taggart Galleries has sponsored three catalogue raisonné projects. The first was the two-volume catalogue raisonné of Pennsylvania Impressionist Daniel Garber, which was published in 2006 and includes over 1,500 entries. In 2000 the gallery launched the Frederick Carl Frieseke catalogue raisonné that is currently being compiled by the artist’s grandson. Most recently, we have undertaken the compilation of the catalogue raisonné of Surrealist artist Kay Sage, in partnership with Mark Kelman and Sage scholar Stephen Robeson Miller. 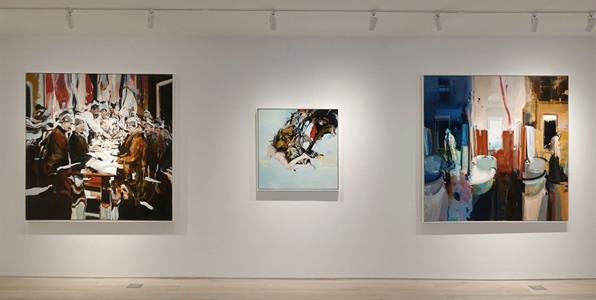 In the summer of 2015, Hollis Taggart Galleries opened a spacious 4,000-square-foot gallery in Manhattan’s Chelsea gallery district. 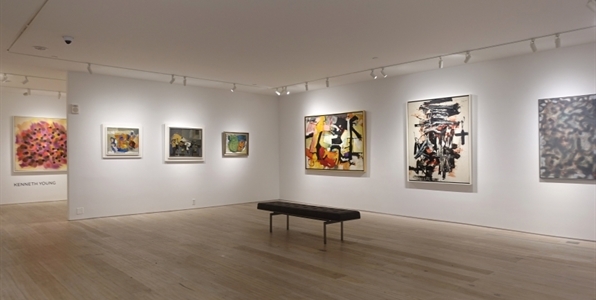 The gallery also retains an elegant, by-appointment-only gallery space on the Upper East Side. Our two venues afford our clients the ease of meeting and viewing gallery inventory where most convenient. Our current gallery program emphasizes Post-War American art, yet we continue to promote the American Modernists who we have highlighted over the years. The gallery will also represent a select group of contemporary artists whose aesthetic we feel is consistent with our historical vision. Above all, we are committed to the advancement of art-historical scholarship and to continuing the lively discourse between contemporary and historical art.